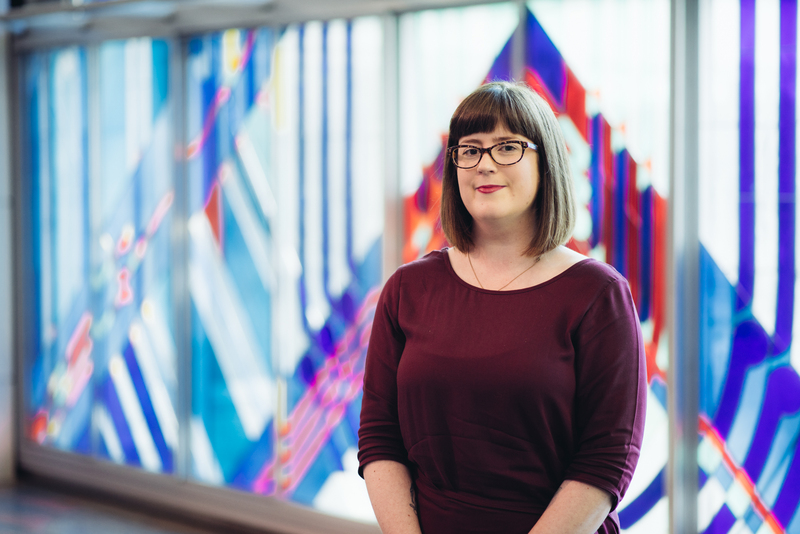 If you’ve ever wondered what’s involved when museums loan and borrow taonga, you’re in luck: our Loans and Acquisitions Advisor Amy Cosgrove sheds light on the process behind Ko Rongowhakaata: The Story of Light and Shadow, as well as revealing an ‘average’ day. What is your role and what does it entail? I am a loans and acquisitions advisor. With loans, I manage both the incoming and outgoing loans process. This often involves liaising with staff and external parties (such as lenders/borrowers) to ensure the requested taonga are assessed for their condition, logistics for freight, and any cultural requirements. I am basically a mini-project manager, collating all of the required information and then problem solving any issues when required. Once all the details are worked out, I draft the loan agreement and ensure both parties (lender and borrower) have signed. The acquisitions process that I manage is much more straightforward. We circulate acquisition proposals via email to collections staff (conservators, collection managers, and object support) and then collate their assessment for the Collection Development Committee to review for approval. We then arrange for legal title to be transferred to Te Papa (either by paying the purchase price invoice or by signed deed of gift). How long have you been in your role? I started at Te Papa in March 2016. Prior to that I have worked at the National Library of New Zealand in acquisitions, the Hocken Library in Dunedin as a reference librarian, and Archives New Zealand as an archives support assistant. I studied Art History and Classics as an undergraduate and have post graduate qualifications in Art History and Museum Studies. What does a typical loans and acquisitions process for an exhibition look like? When we borrow for an exhibition at Te Papa, the process is usually quite straightforward. A curator will have found a taonga at another institution or through a private individual that they would like to display and they make contact with the potential lender directly to sound them out for the loan. I will then write a formal letter of request with the details of the exhibition and send this out. Sometimes we are asked to provide information about our gallery facility or how we intend to pick up the taonga which I will work through with our collections staff. Once these details are confirmed and both parties are happy, I will draft the loan agreement and send this through to the lender. Sometimes they might have their own loan agreement, which I will organise to be signed by a Te Papa representative. Once the loan agreement is signed, I hand over to a collection manager who will organise the transit of the taonga to Te Papa. And what about an average day-to-day? Every day is different at Te Papa. Most of the work that I do is deadline driven so I am usually found at my computer, going through my acquisition proposals checking whether they are ready for approval or sending reminders to collections staff to input their assessment comments into our collection management system for the loan requests I am managing. My job is to ensure these two processes run smoothly and acquisition proposals/loan requests have all the required information in order to be approved. The exciting part of my job is seeing all the wonderful collection items that we acquire and then on-lend to other institutions. Ko Rongowhakaata was quite different, though. How so? Ko Rongowhakaata is probably one of the most taonga-heavy iwi exhibitions Te Papa has undertaken. There were around 120 loan taonga from over 40 different lenders. This was a huge undertaking for one loans advisor. I had very little information about the taonga that we intended to borrow, other than a generic name for them. In order to make a loan agreement, I need to have a set of basic information (taonga title, maker, date made, measurements, valuation) as well as information from the lender (name, address, email, phone number, etc.) so that I can draft a loan agreement. We decided to take a different approach to the loan requests than previous exhibitions. Our project manager thought it would be a good idea for me to travel to Gisborne with our collection manager and conservator to meet the staff at Tairāwhiti Museum and some of the lenders, so that we could start the process of gathering information about the taonga. I went armed with my very basic taonga list and spent two days working with the Kaitiaki Māori at Tairāwhiti, fleshing out the details required and meeting some of the lenders. I met quite a few people from the Rongowhakaata iwi who were excited to be lending their taonga to Te Papa for the exhibition. It was really great to meet them – something we wouldn’t normally do – as it helped build trust with them and I was able to answer any questions they had (about how we would pick up the taonga, insurance, what would happen if they needed it for a tangi, etc.). I also got to hear many amazing stories about the taonga and saw how strong their connection was to the people. It was a real privilege to get to meet the lenders and hear their korero. 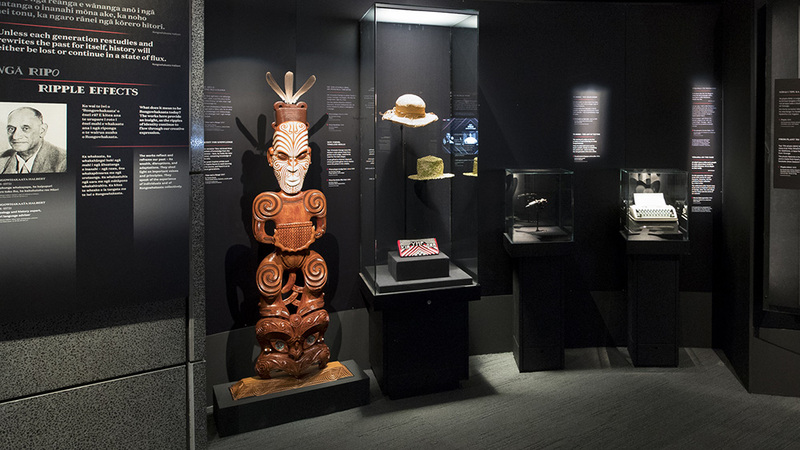 What is your favourite taonga in the exhibition? I have a few favourites! One of the perks of working on all the loans was getting to see all the taonga that will eventually make their way into the exhibition. I love a lot of the contemporary taonga, such as Tiopira Rauna’s Tāne-nui-a-rangi, a beautiful carving which is in the Nga Ripo Whakamua segment of the exhibition. I also really like the hei tiki carved by Matthew Thornton and Wi-Kuki Hewitt. It is awesome to see the artistic talent and creativity of Rongowhakaata continue through with these new carvings. Thank you for sharing this perspective on the lending process and especially the insights on the Rongowhakaata taonga loans. 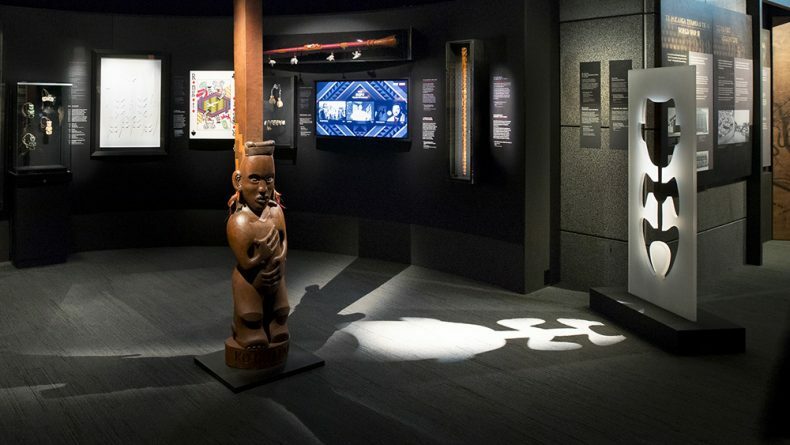 Gives us all a deeper appreciation of what goes into assembling such a significant collection through which the stories of Rongowhakaata are told. In the spirit of mana taonga, I would have liked to hear how that process went from the lenders/ Iwi perspective. Heoi, ka mutu mo te wā nei – rāwhānau ki a koutou katoa Te Papa Tongarewa.